Pioneer has gone all storage crazy on us by coming up with a Blu-ray disc that is capable of holding 400GB of information. This disc uses 16 layers to hold all the information at 25GB per stack, compared to the dual layer 50GB discs that we see in Blockbuster but never rent because the normal DVD is, well, cheaper. The process of manufacturing such a disc is difficult, as the layers used often want to all be heard at once, so interference is common. But by using techniques from the DVD manufacturing process, Pioneer has apparently solved the problem. 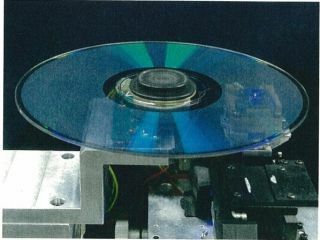 According to the Japanese company: "Since the optical specifications of the objective lens…are the same as those for the existing BD discs, it is possible to maintain compatibility between the new 16-layer optical disc and the BD discs." So this means you can probably pop one of these big-boys into your newly purchased Blu-ray player and still access all the large space optical goodness when released. Pioneer has promised more information on the new technology at the Symposium on Optical Memory and Optical Data Storage 2008, which sounds thrilling, on the 13 July.